A modern array of pinks and creams in a tall and elegant design combines gerbera carnations roses etc with unusual, contemporary foliages. 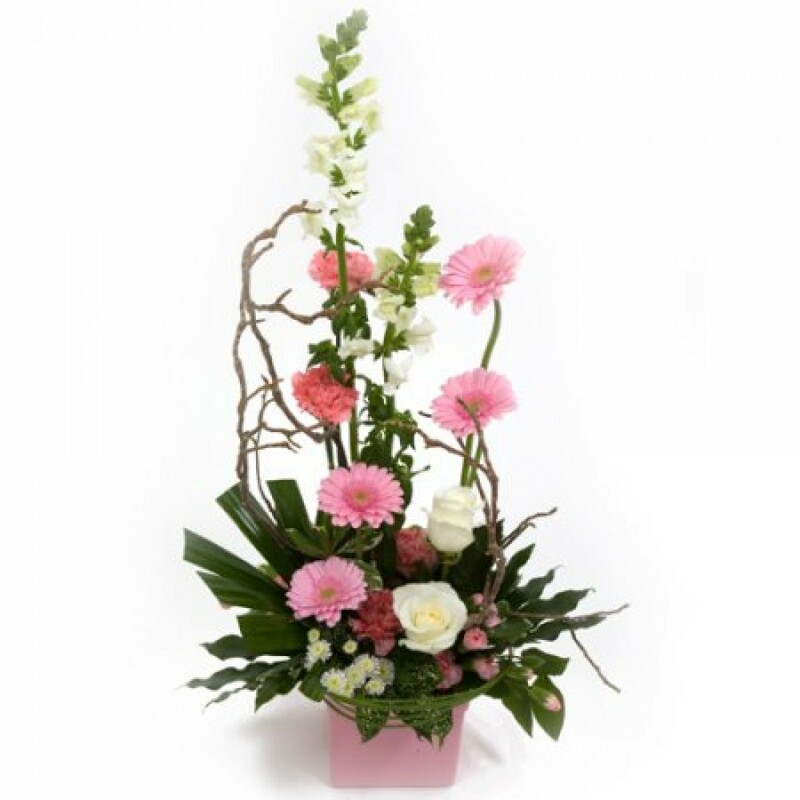 The design is made up in water retaining floral foam within an appropriate container. Image displayed is of the deluxe option. A ready made and easy to care for gift suitable for many ocassions. Order this item for next day delivery by Hillmans in Hereford and surrounding areas.